This is the inaugural ArtTactic report on the market for Urs Fischer (Swiss, b. 1973). 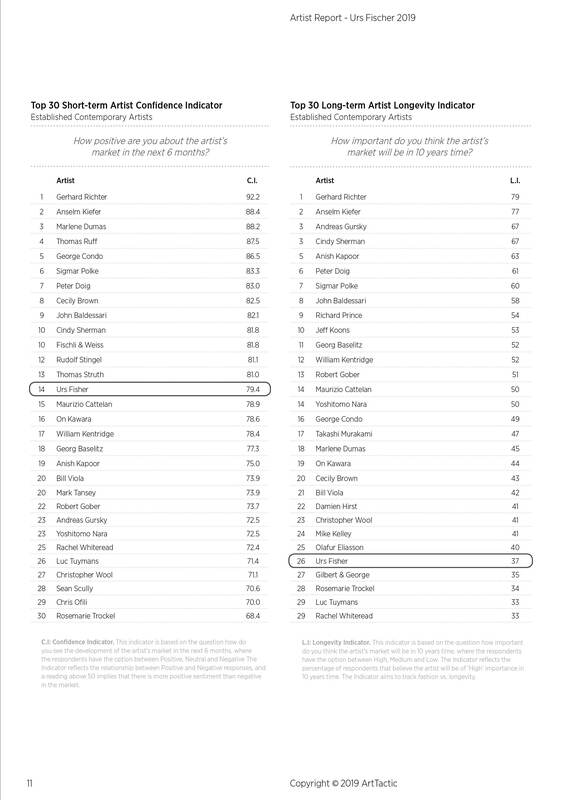 The report analysis takes a forensic look at different aspects of his market, including experts’ market confidence, exhibition and institutional analysis, as well as an in-depth look at every aspect of his auction market, broken down into specific series of works that underpins his career. Short-term market confidence jumps 38%, but some uncertainty around the longer-term prospect of the market: Last year, Urs Fisher’s short-term confidence ranking jumped 38% in the first 9 months of the year, from 58 in January to 79 in September, signalling a positive consensus among experts about the short-term future of this market. A total of 37% of the experts surveyed believe the Fisher market will sustain its high importance in the long-term (up from 19% January 2018), with 53% saying they believe it to be of medium importance. Urs Fischer’s auction market fails to gain momentum in 2018: Fischer’s total auction sales came in at $1 million in 2018, significantly lower than the $3.9 million reached in 2017. 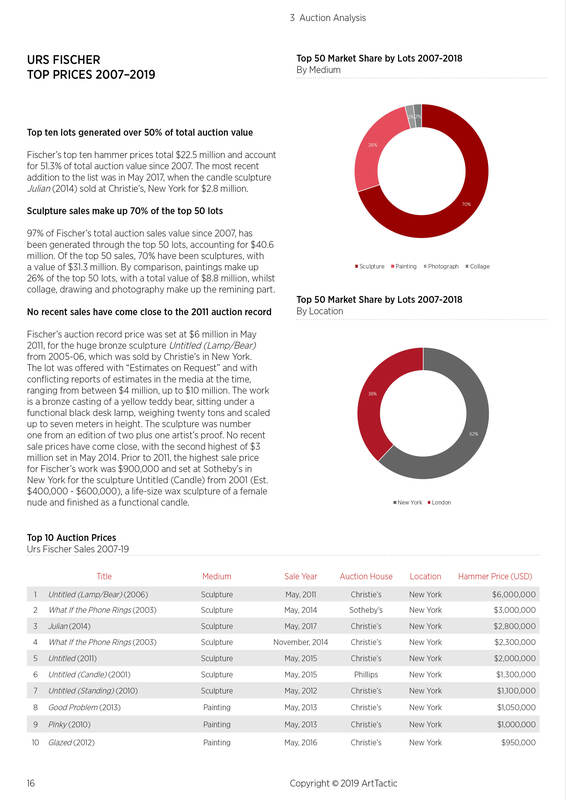 Auction sales have been fluctuating in recent years and also dropped from $5.9 million in 2015 to only $1.7 million in 2016, however, 2018 saw the lowest total auction sales value for the artist since 2009. ArtTactic offer bespoke reports on other artists and the contemporary art market. For further information and a cost estimate please contact us on info@arttactic.com. 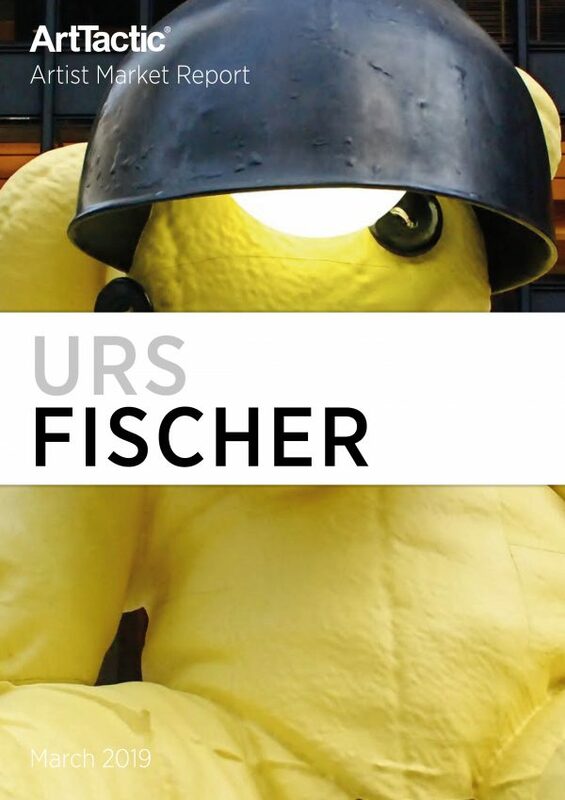 Urs Fischer Market Background and Timeline. Urs Fischer Art Market Confidence Analysis. Total Sales, Average Prices and Hammer-Ratio analysis. 2007-2018. Analysis by segments including; Breakdown by Year of Creation and Medium. Artwork Analyses: Detailed analysis of Sculpture sector. Price Segmentation and Top 10 Price Analyses.